things that aren’t so hot…. We are happy our motorcoach has a recliner, computer table and cabinets in the living area instead of a second sofa. Storage space is a biggie for fulltimers. directory as we are going down the road. make the most of the great views. weather changes, and so on). own is with us most of the time. of our own home. Recommended for fulltime motorhome living. 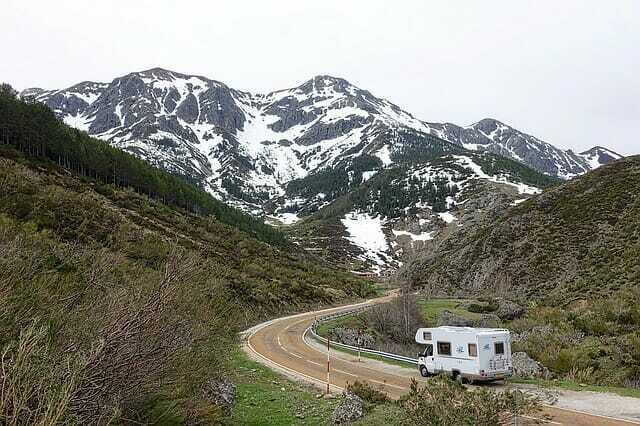 We are happy to have had the experience of our winter motorhome living – “roughing it” – it was a different kind of adventure in motorhome living. the other. It seems to work out fine this way. campfire, some stargazing, or socializing with friends and neighbors. We are happy to meet new neighbors and friends at every turn. part of our motorhome life. We are happy to have automatic leveling. It saves us time and aggravation when setting up the RV. rides. In the beginning, we had been leaning toward a fifth-wheel. perfect. We plan to have it for a long time. The plumbing bay in this motorcoach has been a pet peeve for Jose. furniture, we would have disposed of it when we sold the townhouse. needed to get a good shower as part of motorhome living. using up fuel to power the Hurricane hot water heater. roof, tires, trim) to protect against the constant exposure to the sun. and have been using it since we first got the motorhome. The things that aren’t so hot…well, they are just minor inconveniences. Nothing that gets in the way of us loving this motorhome life. Our dishwasher – we just don’t need one for motorhome living. motorhome that handles anything we need – including cooking a 9-lb. Our corporate jobs, PowerPoint presentations, 14 hour workdays, the stress.